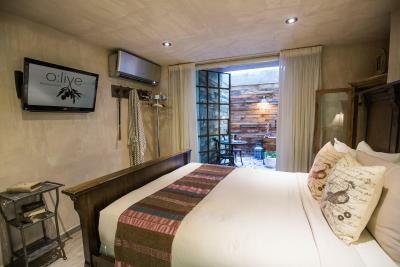 Lock in a great price for O:Live Boutique Hotel, A Small Luxury Hotel of the World – rated 9 by recent guests! Brand new. 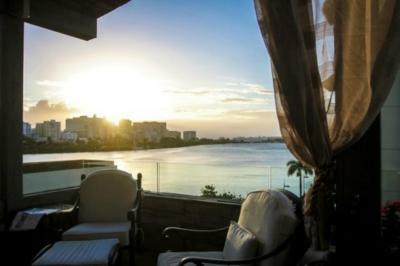 Beautiful view of Condado Lagoon from out massive corner balcony. Amazing, friendly staff. 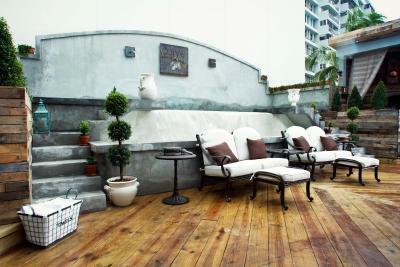 Great rooftop for lounging, eating and drinking! 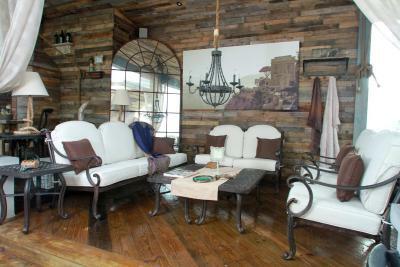 Liked location (centrally located to get to Old San Juan, Luisa Street, La Placita/Santurce). Location, very friendly & professional staff. The beds are super comfy, everything is clean. The attention is phenomenal, one of the best service I've ever had. Highly recommended. The shower was amazing and the decor was very unique! They let us check in early and even showed my boyfriend and I up to the rooftop for a drink while they took our bags to the room. Breakfast could be ordered the night before and be delivered to you room. It was simple. They prepared a menu the day before and hung it on your door. All you had to do was select the items you wanted and hang it back on the door before 1:00am and your breakfast would be delivered right on time and it was delicious. They offered valet parking and you could take your car out as many times as you wanted per day for $20, which i thought was fair. The hotel is also in a great location to walk to many other restaurants. I liked everything, from the moment we steped in the front door to the moment we had to say goodbye. 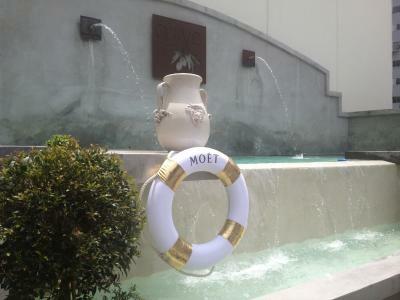 The costumer service was super amazing, the hotel is gourgeous, we loved it, definetly going back. The personal touch, and the quaintness. 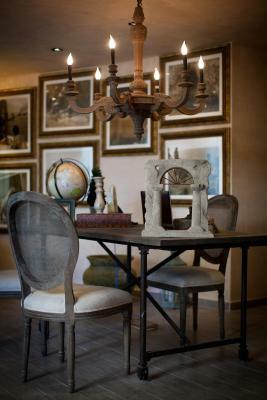 When you're told the story about the owners , then you understand the love you feel the very moment you walk in. Friendly staff and beautiful shower and bed. Greetings were beautiful and my request i asked For was met with care. Loved the restaurant, food and service (at restaurant) was superb. Vew from the rooftop patio was quite beautiful. Bed was comfortable, good tv service, good wifi service, coffe was good. We enjoyed hanging out in the pool! 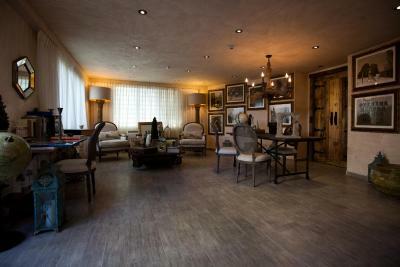 O:Live Boutique Hotel, A Small Luxury Hotel of the World This rating is a reflection of how the property compares to the industry standard when it comes to price, facilities and services available. It's based on a self-evaluation by the property. Use this rating to help choose your stay! 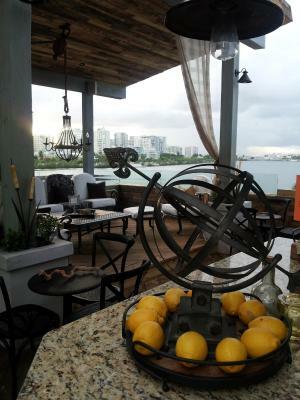 Located in the exclusive Condado neighborhood, O:Live Boutique Hotel has a Mediterranean décor and stylish suites. Free Wi-Fi is available throughout the entire property and suites include a luxurious rain shower with hydromassage jets. 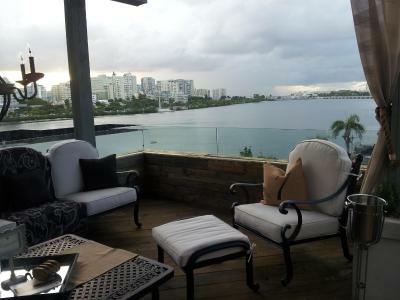 Part of Small Luxury Hotels of the World, the O:live Boutique Hotel has a rooftop terrace with an infinity pool overlooking the Condado Lagoon. Mediterranean Suites feature a flat-screen cable TV and L’Occitane toiletries. 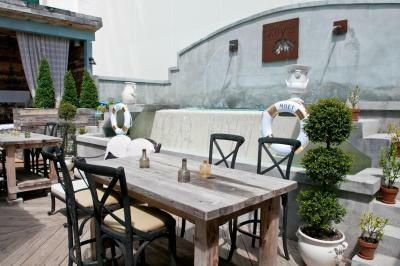 Sage Steak Loft is a modern take on the traditional steak house, menu created by local sensation Chef Mario Pagan. Activities offered are biking, paddle boarding and kayak. 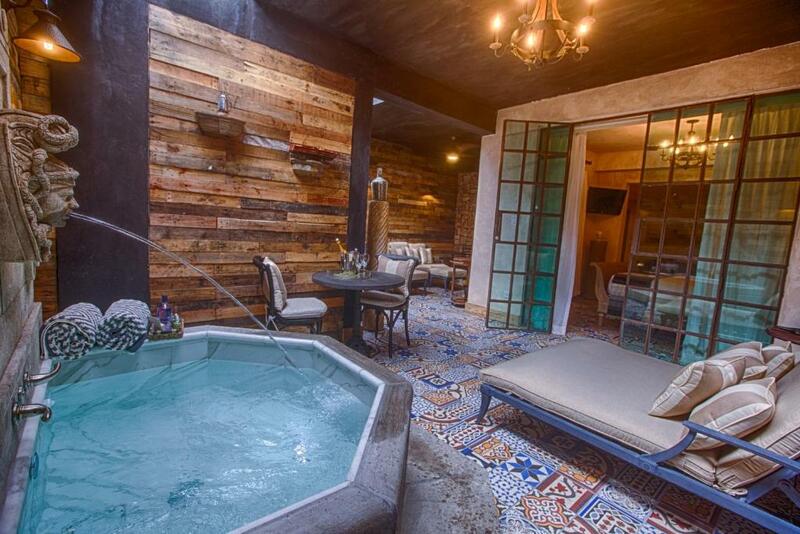 O:Live Boutique Hotel is a 10-minute drive from San Juan’s Old Town. Valet parking is available for an extra fee, and the concierge can arrange transport to Isla Grande Airport, 2.5 mi away. 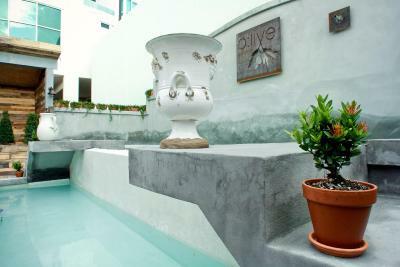 When would you like to stay at O:Live Boutique Hotel, A Small Luxury Hotel of the World? 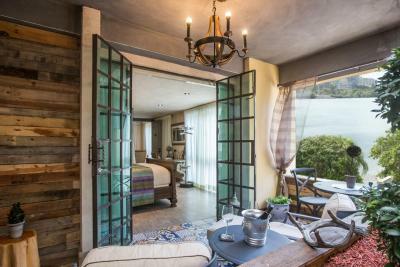 Overlooking the Lagoon, this suite features an all-glass shower and a Provençal-style décor. 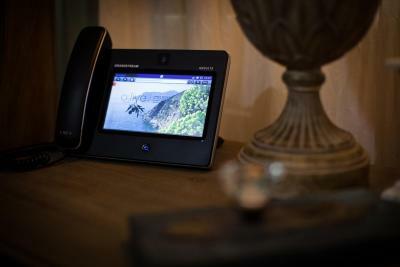 It offers free Wi-Fi, a flat-screen cable TV and a mini-bar. 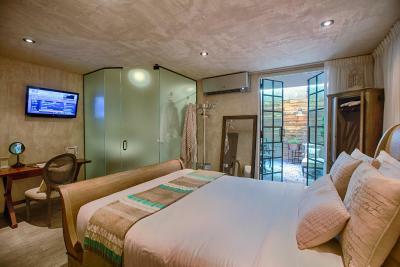 The s bathroom offers L’Occitane toiletries, a hairdryer and a rain shower with hydromassage jets.The private terrace is furnished with a dining table for 2, plus a fountain. 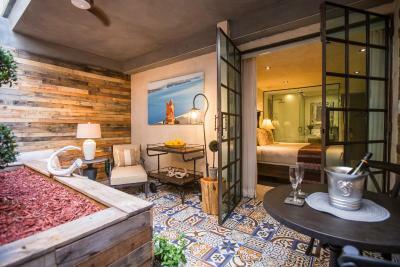 This romantic suite features one queen bed, plus a private bathroom and a charming Provençal-style décor. It offers free Wi-Fi, a flat-screen cable TV, desk and a minibar. 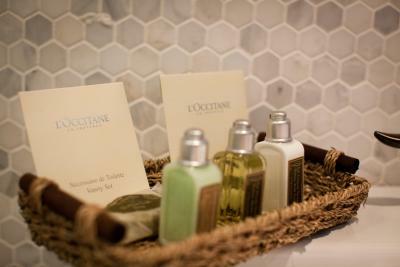 The stylish bathroom offers L’Occitane toiletries, a hairdryer and a luxurious rain shower with hydro-massage jets. 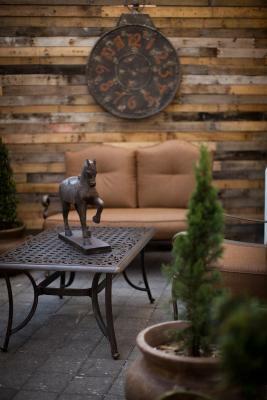 The private outdoor terrace is furnished with a dining table for 2 and lounge sofas. Bottled water is included. 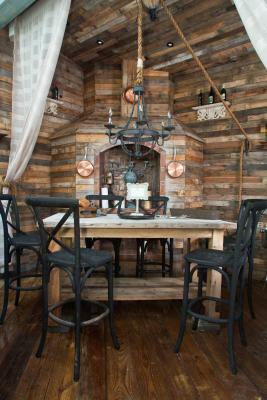 This intimate room features an indoor porch decorated with Spanish tiles and restored woods, with a dining area for 2. 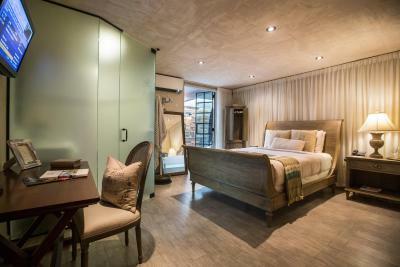 The bedroom offers a full-size bed,a flat-screen TV, DVD player and complimentary bottles of water. The stylish bathroom includes bath robes, luxury toiletries and a rainfall shower with massage jets. Free Wi-Fi access is included. There room does not offer a view. 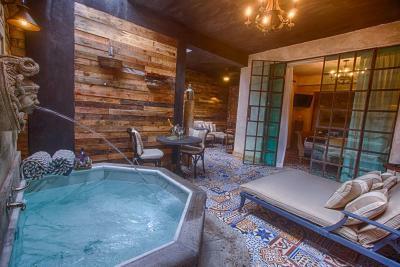 The Mediterranean suite offers a glass see-through shower with a bench and massage jets. 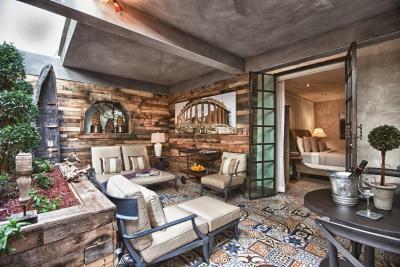 The suite's private outdoor porch features Spanish tiles and restored woods and includes a dining area for 2. 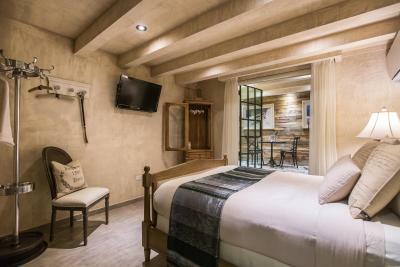 Rooms have a queen size bed, bath robes, L’Occitane products, and flat-screen TV with DVD, Free Wi-Fi and complimentary bottles of water. 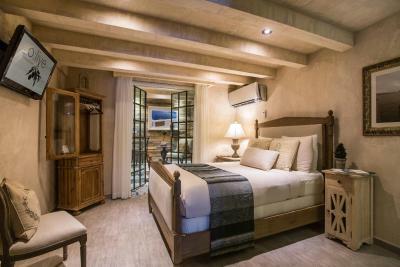 This Honeymoon suite features an extended living area that opens to a spacious patio. 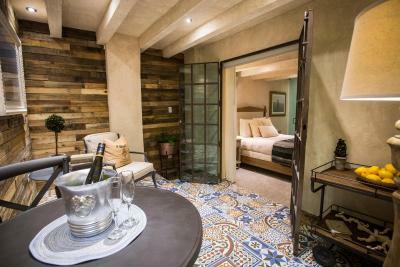 The suite also features a private furnished terrace decorated with stylish Spanish tiles and restored wood that includes a dining table for two, a lounge area and an outdoor shower. 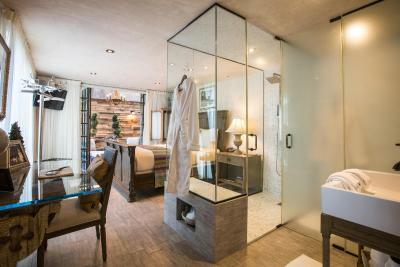 Amenities such as bathrobes, L'Occitane toiletries, rainfall shower and massage jets are included in the full bathroom. 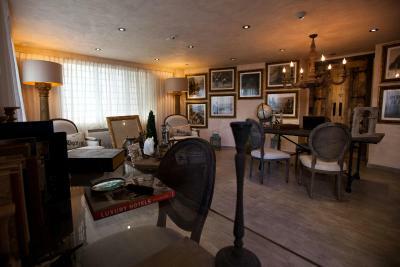 A unique luxury boutique hotel designed to transport guests to the allure of the European lifestyle in a Caribbean scenario. 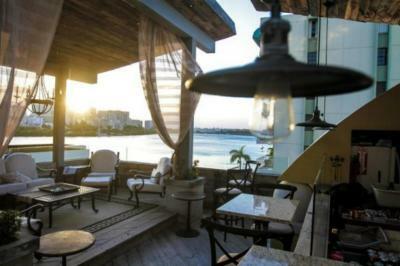 O:live Boutique Hotel belongs to the small luxury hotels of the world and it’s located in the fashionable Condado area, the hotel has a fabulous rooftop with lagoon views and recently added verandas to all their 15 rooms. 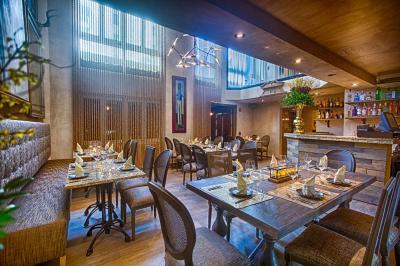 Its ultrachic restaurant Sage is one of San Juan’s finest new restaurants. O:live recently won the title of best new boutique hotel of 2013 and world’s best design boutique hotel in 2014 by the prestigious boutique hotel awards in London. 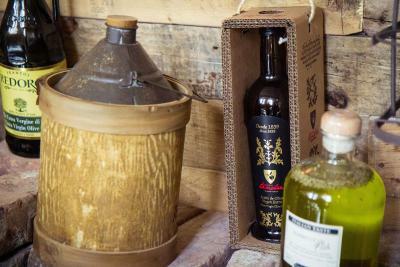 House Rules O:Live Boutique Hotel, A Small Luxury Hotel of the World takes special requests – add in the next step! 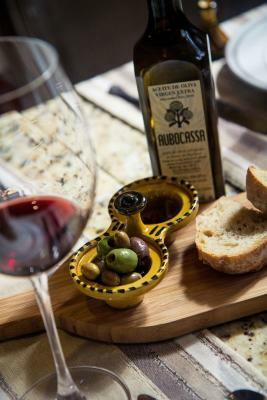 O:Live Boutique Hotel, A Small Luxury Hotel of the World accepts these cards and reserves the right to temporarily hold an amount prior to arrival. 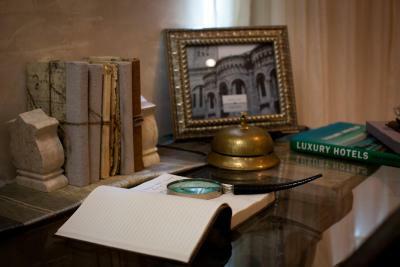 Please note that the Valet Parking services have an extra fee per night. Cold shower! On our last day, we actually had to shower down the hall, because our room had no hot (or even warm) water at all. For a room that costs $400 a night, with taxes and fees, this is not okay. An ongoing problem that the hotel pretends does not exist! 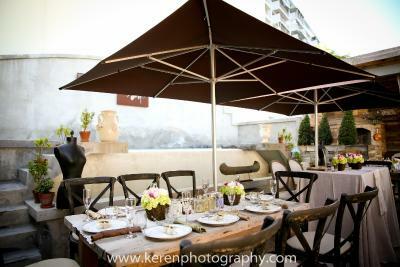 The hotel is beautiful in Mediterranean style, and our patio with chaise was a blissful place to relax. The rooftop bar with its small saltwater pool was lovely. The staff was super attentive and helpful. Not on beach. No gym. We arrived at 4am after flight delays but the night managers were amazing. We were offered (and accepted!) a welcome drink and then shown to our room in the newly opened part. The room was amazing, as is the new hotel. The two are very different but I would be very happy staying at either, and would choose the hotel again if (when) we return to San Juan. We loved San Juan itself. Breakfast in the morning was very good and we then relaxed on the roof terrace. I can't really think of anything to fault. The staff were very friendly and helpful, could not fault them at all. The room was very spacious and clean, the bed was large and comfy. Had a great stay at this hotel and would consider booking it again. Price for the food. A little annoyance. The hotel decor is fantastic and the rooms are wonderful. Room was expensive for having no view, even though they tried to make up for this with the decor. I also wish they offered massage services. We had to go across the street to another hotel to get a couples massage. My boyfriend and I also wanted to go up to the roof top during the evening but it was closed due to a private party.